Click on Town name or Map for Run Cards. New Mashpee Run Cards in Place. 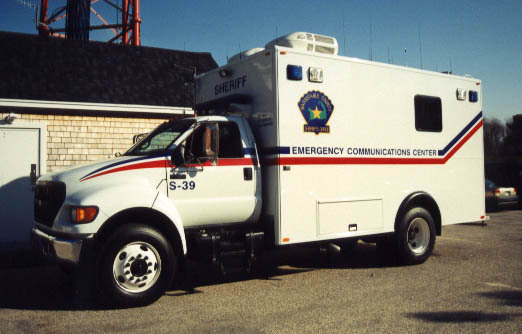 Barnstable County Control, the Mutual Aid Center for Cape Cod, is located in the Barnstable Sheriff's Department Communications Center at the Public Safety Building in Barnstable village. The Cape has a well developed mutual aid system that saw its beginnings in the 1950s when area fire chiefs made agreements with each other to provide help should it be needed. Large forest fires across the Cape required the response of help from many departments as did large building fires. 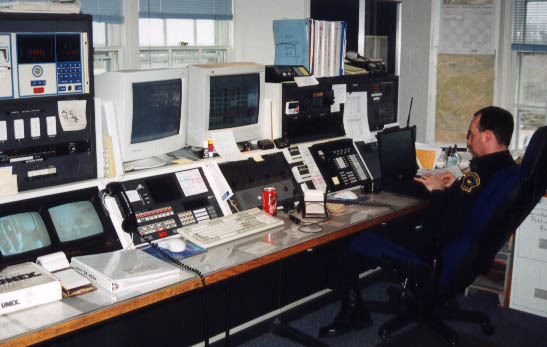 The Yarmouth Fire Department served as the mutual aid center for decades, keeping track of apparatus and equipment lists, vehicle in and out of service status, and dispatching of mutual aid by basic run cards. 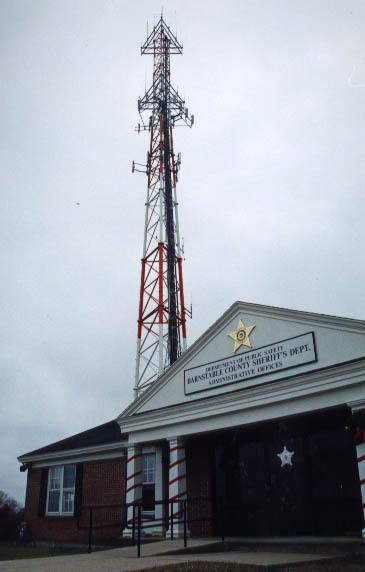 In 1994, the mutual aid center went to the "County" at the "Radio Shack" in the Sheriff's Department. 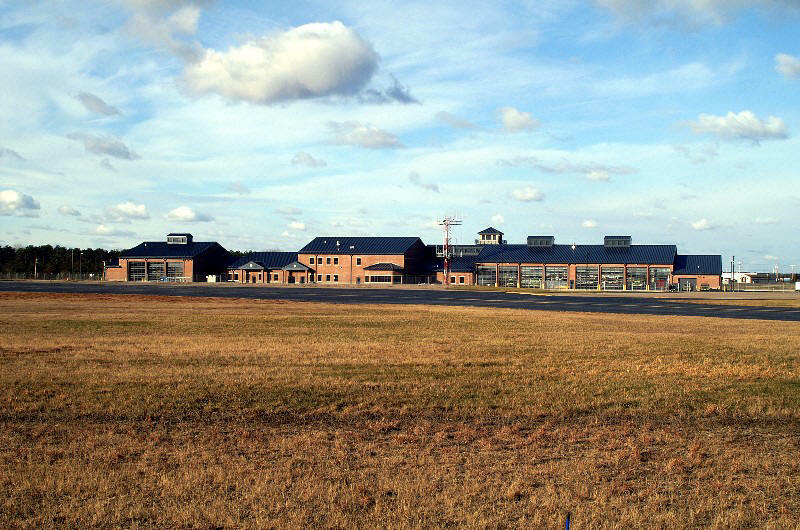 This center had been the CMED center since 1974 and was well adapted to assume the responsibilities for mutual aid as well. The system has continued to evolve over the years. 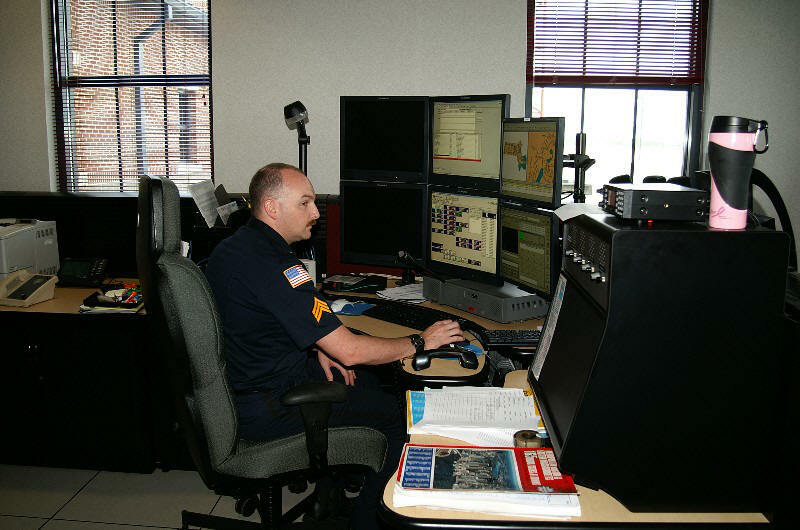 Computers are now used to determine mutual aid moves and to track vehicle status. A magnetic map board is also used to show visually where apparatus is and where "holes" in coverage may exist on the major incidents. The Center conducts a daily roll call of stations at 0915 daily to verify radio operability and vehicle status. The first Sunday of each month is also a tone test day when each department's mutual aid tones are also tested. Originally the "county" radio frequency 33.70 was also used by most of the towns for ordinary operations. As departments began to get busier, they migrated to their own channels. The "county" channel has been maintained for mutual aid dispatch and inter- department communications. 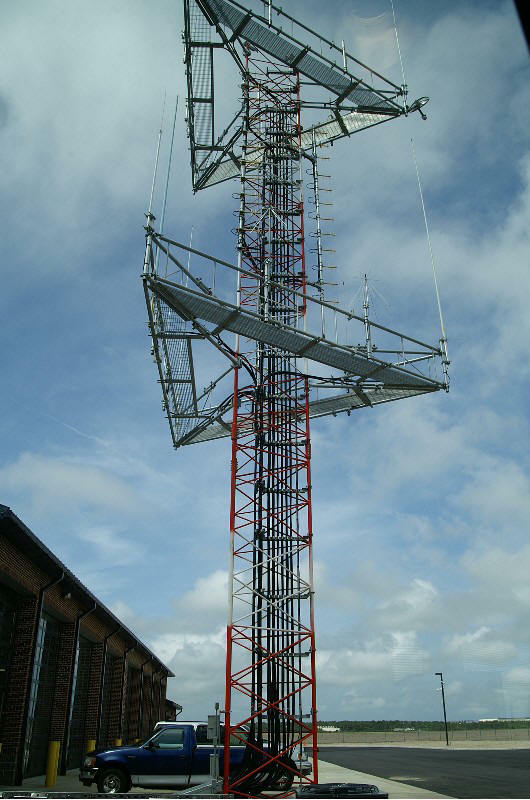 Several years ago the Cape went to an 800 mhz trucked radio system. This improved communications in a number of ways. There is a "Mutual Aid Dispatch" channel on talk group 38032. 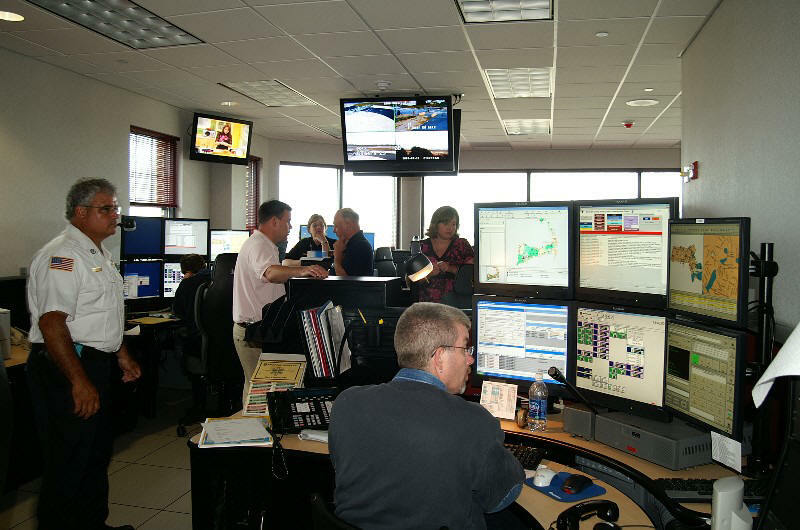 This is the primary mutual aid dispatch and inter department channel. There are now also (3) OPS or operations channels used for fire ground or other incidents. OPS 1 (Channel C4) is talk group 38064. OPS 2 (Channel C6) is 37978. OPS 3 (Channel C8) is 38000. The first available channel is assigned on request by BCC. 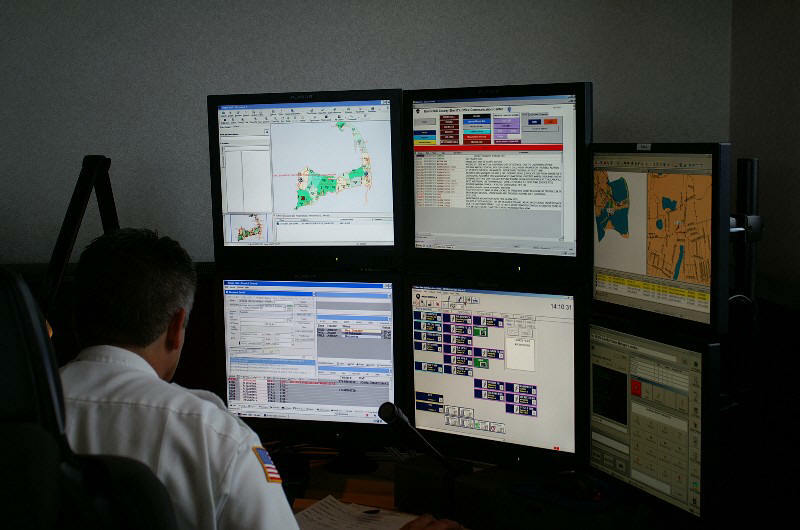 Barnstable County Control serves a number of rolls during mutual aid incidents. Departments contact BCC via radio and request aid for their specific incident and district area. The run cards for those types of incidents (Structure, brush, special calls, etc) and the districts are all kept on the computer. 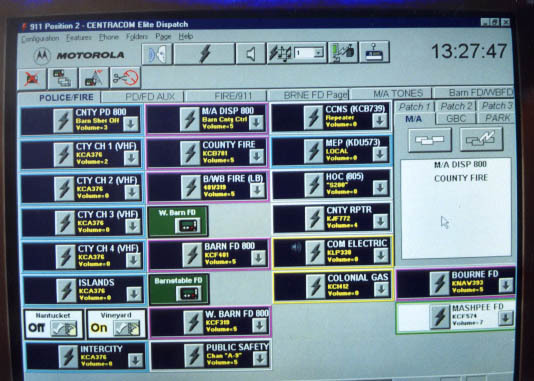 The BCC dispatcher looks up the run card and verifies the availability of the assignmed apparatus and tone dispatches the assignment (ie: 2nd alarm, 3rd alarm, etc...) Units are then dispatched by the individual departments. They respond to the scene on the assigned OPS channel or for cover age on the talk group of the town being covered. The run cards within this website carry data on file at BCC as of the date recorded on each card. They were effective by the implementing department on the date "revised" They are posted on the more recent date on the page. In some cases, run cards may be outdated (apparatus listed that is no longer in service, has been assigned to another station, etc..) It is the responsibility of each department to write and provide their own run cards to the county via the Fire Chief's Mutual Aid Committee. In some cases there cards may need to be updated. It is also possible that the cards on this site contain errors or can be out of date. They are here for general information and are not definitive or guaranteed to be followed exactly for a variety of reasons. We hope however that they will demonstrate the systematic use of the mutual aid system and provide a reference point for understanding the mutual aid system. 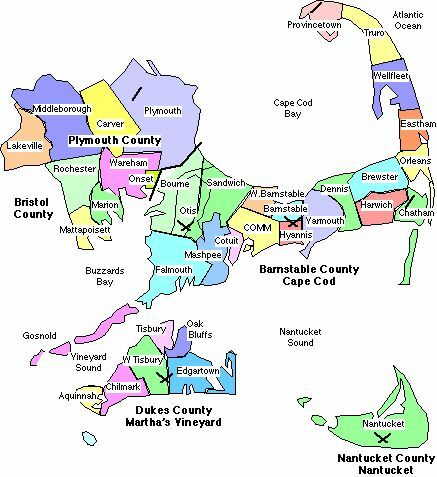 Click on Cape Cod Department names to go to run cards. just to the left of the antenna. View of the antenna from the radio room. One of the 8 dispatch work stations within the room. 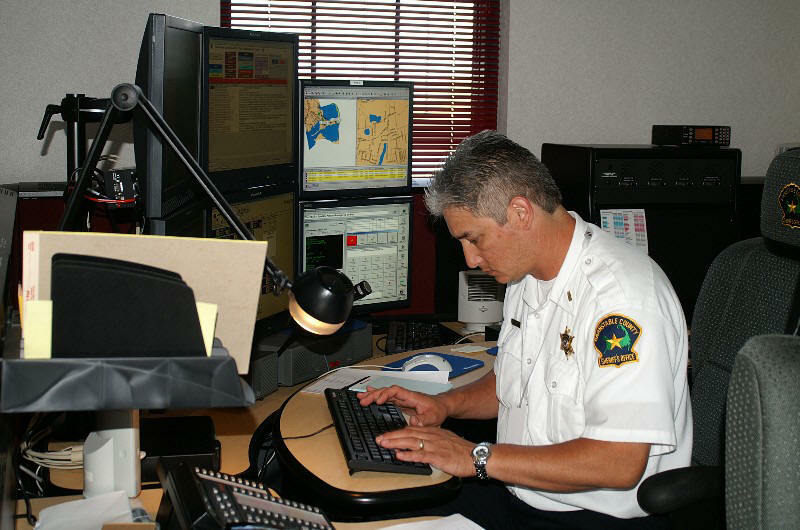 Lt . James Fletcher enters data into the Computer Aided Dispatch (CAD) program . The radio room overlooks the runways and is equipped with some very high tech equipment. Barnstable CMED is located at this console. below the large radio antenna in Barnstable village. as well as a variety of police, sheriff, haz mat, fire alarm, and other duties. as able to transmit, sound tones, and monitor communications. operates this mobile communications and command center known as S-39.